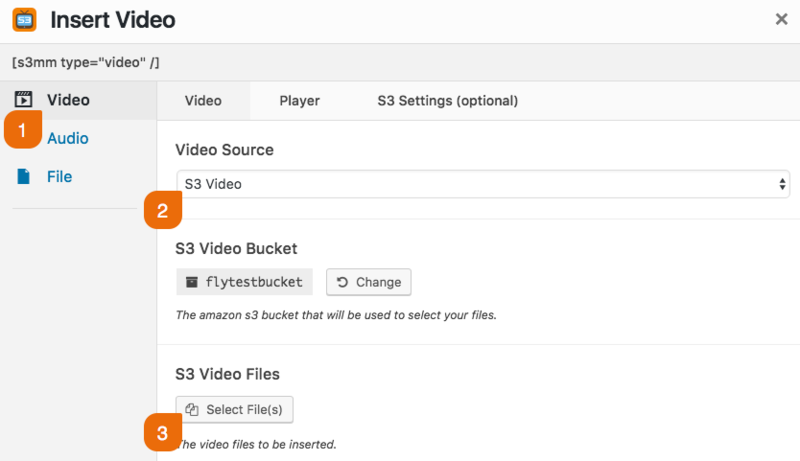 Uploading a file is simple with S3 Media Maestro. 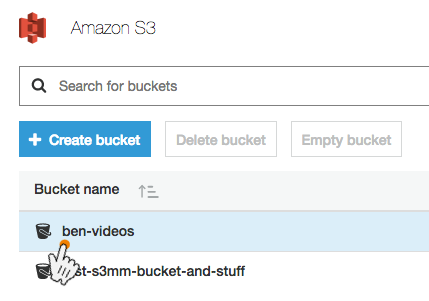 S3 Media Maestro now has the ability to upload files to Amazon S3 right from the shortcode builder. Once you are logged into WordPress, simply create a new page or post. 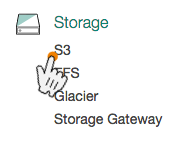 Then click the Add S3 / Cloudfront Media button. Next, select the type of media file you want to insert. For the purpose of this tutorial, we will upload a video. So in this case we will select Video, and select S3 Video as the video source. Then click the Select file(s) button. 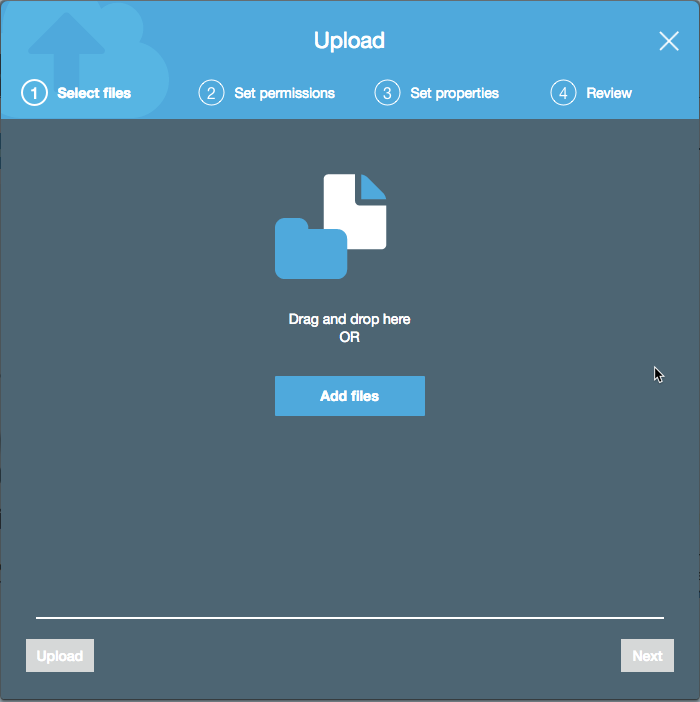 You can either drag and drop a file to the upload box or click the Select Files button to browse your computer for the file to upload. Once your video is uploaded it will automatically be selected. 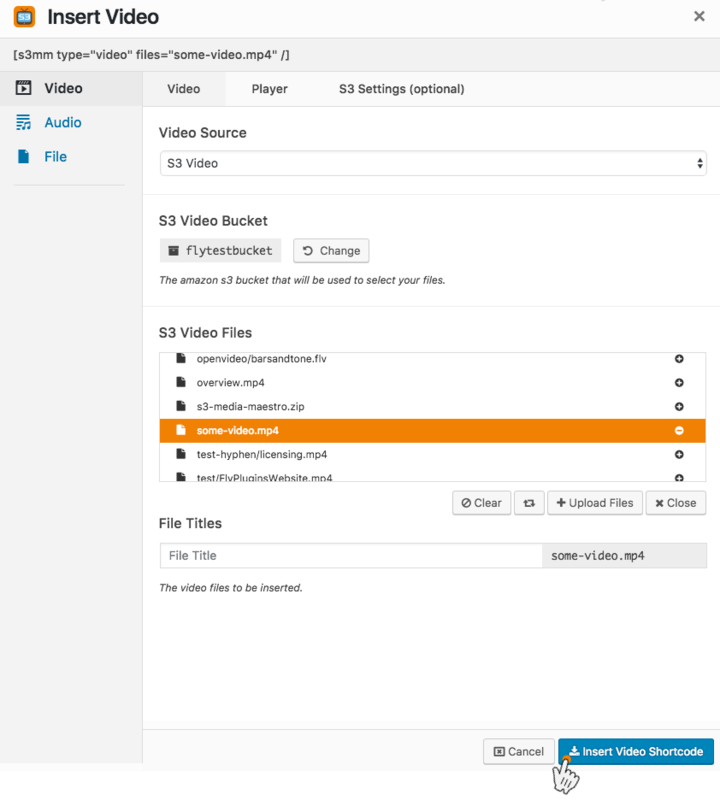 Then you can click Insert Video Shortcode. Now you can Publish or Update your post. 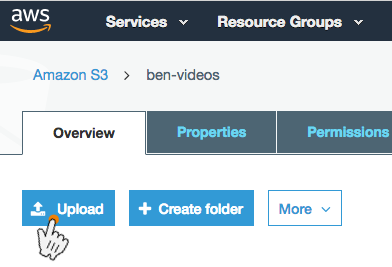 You can also upload directly through the Amazon Web Services website. Click the Add Files button or drag and drop a file to the upload box. Once you select your files, click Upload.